Myrtle Beach Mayor Brenda Bethune announced this morning that $128,324.36 was raised through the Hurricane Florence Benefit Concert held last month at TicketReturn.Com Field at Pelicans Ballpark. The proceeds will be shared between the Eastern South Carolina Chapter of the American Red Cross and the Waccamaw Community Foundation with each organization receiving $64,162.18. A recap video of the concert, including artist interviews, is available here. At a press conference earlier today, Mayor Bethune stated, "We rise by lifting others up, and that was the whole purpose of the Hurricane Florence Benefit Concert. It was an incredible event that will forever change the lives of many of our neighbors throughout the county. Now as we approach the holiday season, it truly is a joy to celebrate this time of year by being able to give back." 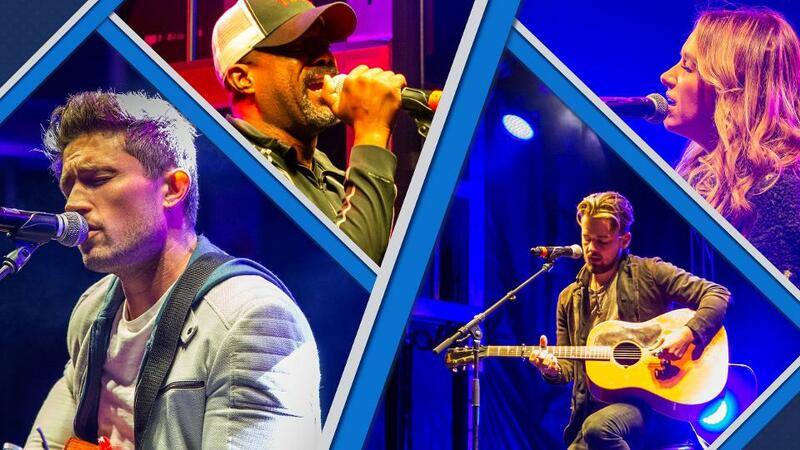 The benefit concert, which featured Darius Rucker, Michael Ray, Carly Pearce, Love and Theft, Chris Bryant, Josh Phillips, The Davisson Brothers Band, The Swon Brothers and more, was pulled together in less than six weeks. Additionally, all of the talent, and much of the time, efforts, and resources to execute the event were donated. "The Hurricane Florence Benefit Concert came together very quickly thanks to a group of very dedicated people," stated Mayor Bethune. "This team not only created a great event, but while we were planning it we formed some lifelong friendships for which I am very grateful." The host committee for the benefit concert was comprised of Ryan Moore and Kristin Call (Myrtle Beach Pelicans), Amie Lee (Palmetto Event Productions), Adam Dellinger and Jimmy Feuger (iHeart Media/Gator 107.9), Ed Piotrowski and members of WPDE ABC 15 and the CW21, The Myrtle Beach Area Chamber of Commerce, VisitMyrtleBeach.com, Southern Entertainment, Whirlwind Creative, Carolina Country Music Fest, Mayor Bethune, and the City of Myrtle Beach. The majority of the funds were raised through ticket sales, sponsorship, and concession sales. Additional donations came in through a text to donate campaign which is still active. If you would like to donate to local relief efforts text REDCROSS to 90999. The Waccamaw Community Foundation will be distributing their allocation of the funds through a grant process and will be vetting all non-profit applications. Only non-profit organizations helping flood relief efforts in Horry County are eligible to receive these funds. To learn more about the Waccamaw Community Foundation click here. The Eastern South Carolina Chapter of the American Red Cross will be deploying their allocation of funds to help with a number of flood related efforts. Such efforts include providing financial assistance to families with destroyed and majorly damaged homes, offering mental and spiritual help to all affected residents free of charge, providing clean-up kits, and more. To learn more about the Eastern SC Chapter of the American Red Cross click here.